Everything points to GE getting approval next week from the European Commission (deadline 11th September) for its acquisition of Alstom’s Power and Grid businesses – subject to some of the remedies proposed by GE to meet EC concerns about competition. The specific nature of the remedies have not been made public but rumours indicate that these comprise divestment of a service company and a facility in Switzerland to Ansaldo along with some IP, (see previous posts). 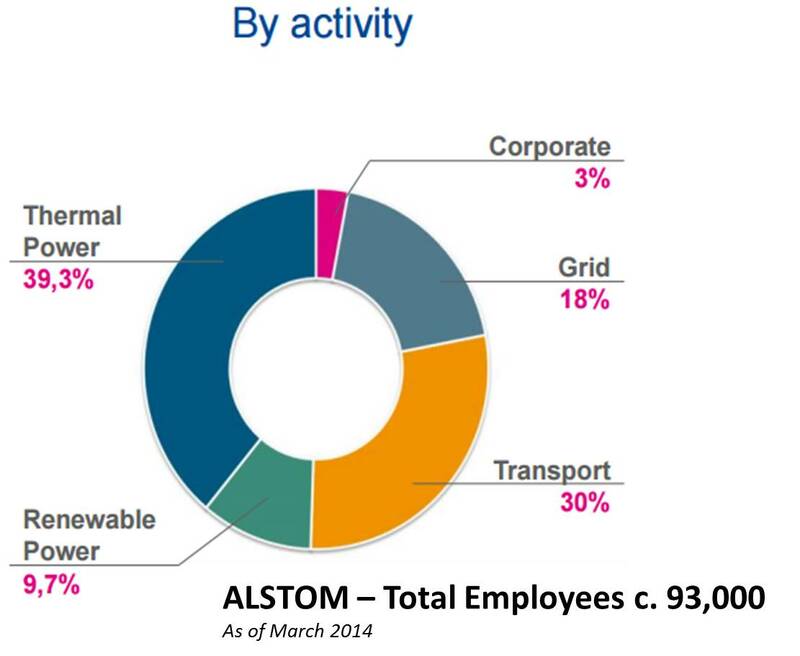 Around 65,000 Alstom employees would be transferred (though I am assuming that the JV’s being set-up (Grid, Renewable Power and Nuclear) are just a step along the way to complete divestment. Alstom can exit the Grid and Renewable Power businesses (50% minus one share) by September 2019 for an exit price not less than the acquisition price +3% per year. Alstom has windows for exit from the Nuclear JV (20% minus one share) “for 3 months after the 5th and 6th anniversaries of the joint venture” with an “exit price not to be lower than acquisition price +2% per year”. I assume that Alstom has a put option and that GE is obliged to buy – provided of course that no hidden liabilities show up in the businesses as happened when Alstom acquired ABB’s power generation business in 2000. That there will be job losses among the 65,000 so transferred is inevitable. The logical conclusion would be that jobs in high-cost countries – except where they are also where the market is – would be most at risk. But as I saw through my years at ABB and Alstom, logic does not always apply. Both ABB and Alstom were (and probably still are) very Eurocentric. Quite often I saw under-utilisation in Europe being taken as the “cost to be avoided” rather than the minimising of total cost. Then, fully loaded jobs in low-cost countries were removed or transferred to Europe to increase loading in European facilities – but which only helped to increase total costs. Also, it was always so much cheaper (redundancy payments) to get rid of jobs in India or China or Indonesia than in France or Germany. So I do expect that similar “political preferences” will still apply for European jobs, though GE should be less inclined to fool themselves over the false economy of maintaining high-cost jobs for saving the “avoided cost” of under-utilisation. (A qualified, engineering job in Europe costs – or saves – at least twice as much as one in India or China after including for wages and all support facilities). On the other hand, GE now has to fulfill some political expectations from the French government and the European Commission. So jobs in France are protected and possibly also in Italy as well, but Eastern Europe and even some developing countries may well take a hit. Switzerland is quite exposed, both for cost and lack of political clout in the EU. However, GE is also under pressure to implement its cost cutting program and the delay in the EC approval only adds to the pressure to make quick cuts. In May, GE told investors it expects $3 billion in cost reductions over the next five years as it combines its operations with those of Alstom, more than double the previous target when the deal was first announced in April 2014. GE has also projected the deal would add 15 to 20 cents per share to earnings in 2018, or nearly 10 percent of GE’s overall profit expected that year by Wall Street, according to Thomson Reuters. To hit those goals, GE will consolidate manufacturing operations, cut duplicated overheads, and make savings on purchasing expenses, according to GE presentations on the deal. But to gain the blessing of the French government last year, GE committed to add 1,000 jobs in the country, possibly handcuffing the conglomerate’s ability to reap savings from Alstom’s home base. My (entirely speculative) reasoning suggests that GE must reduce this 65,000 employees from Alstom by around 12% quickly – say over 12 – 18 months. GE should certainly be able to reduce headcount globally by around 8,000. That will give a saving of only around €500 million annually (€800 million if all the job cuts were in Europe) and further rationalisation will still be needed if GE is to meet its target of $3 billion cost reduction in 5 years. (A $3 billion annual cost reduction is massive. If it was all to be found only by job reductions it would mean around 30,000 jobs). Over 1,200 of these jobs could go as a consequence of the “remedies” proposed by GE and the consequent divestments to Ansaldo. Around 1,000 of these jobs in Switzerland will likely transfer to Ansaldo and then perhaps around 600 will disappear completely. I note that around 3,000 of the 65,000 jobs transferred are for shared and common services (IT, support facilities, legal and the like). I would be quite surprised if GE could not find sufficient synergies with their existing staff in these areas, and cut at least 1,500 of these jobs. Between 6 and 7,000 of the jobs transferred would be in the US where GE is already very well represented. Again, I would be quite surprised if GE could not find at least 1,000 jobs in the US which were effectively duplicates. Some duplicate manufacturing facilities would also need to be rationalised (Poland? China? Italy?). There will be much pain in the short-term. I have been through the process myself on more than 6 occasions (downsizing or acquiring or being acquired), and it is the handling of people which is by far the biggest challenge. While it will be of benefit to both Alstom and GE in the long-term (to their investors, their continuing employees and to their customers), that is not much comfort to those who lose their jobs. This entry was posted on September 4, 2015 at 11:00 pm and is filed under Behaviour, Business, Energy, Engineering, Technology. You can follow any responses to this entry through the RSS 2.0 feed. Both comments and pings are currently closed.